Vyvanse Weight Loss - Is It Safe to Lose Weight on Vyvanse? You are here: Home / Medication / Vyvanse Weight Loss – Is It Safe to Lose Weight on Vyvanse? Vyvanse Weight Loss – Is It Safe to Lose Weight on Vyvanse? You shouldn’t use Vyvanse for weight loss. But, many people who take Vyvanse for ADHD or Binge Eating Disorder (BED) end up losing weight as a side effect of the prescription medication. So, what’s the deal here? Is Vyvanse weight loss a good or bad thing? Disclaimer: Before we begin, please keep in mind that this article is not medical advice – but a first-hand account of my experience dealing with weight loss from Vyvanse. Vyvanse and weight loss goes hand in hand. When I was taking Vyvanse throughout most of 2016, I was decently lean at 5’8″ and 170 lbs. My body fat percentage was roughly around 15%, and I had a slight six pack. That’s pretty good for guys (women’s body fat percentages are a little bit different). All in all, I probably lost around 15 lbs of body fat when I was on Vyvanse, and put on some muscle, too. Most importantly, I stopped drinking alcohol when I was on Vyvanse, since alcohol and stimulant-based ADHD medication don’t mix very well. So with all of these dietary changes, and plenty of exercise, I found it extremely easy to lose weight while I was on Vyvanse. When I lived in a fraternity house for a couple years in college, I noticed that most of the guys who were prescribed ADHD medication (probably 30 guys in total) were super lean, too. I’m not trying to glorify the weight loss side effects that come from using Vyvanse here. I’m just laying out the truth about the weight loss from Vyvanse that I experienced first-hand, and noticed in some close friends and even family members. Weight loss is listed as one of the most common side effects of taking Vyvanse. As you probably realize, experiencing side effects from prescription medication usually isn’t a positive thing. And yet, many people actually seem to enjoy the weight loss side effect that they get from Vyvanse. While it’s normal for people to want to lose weight, I think that the seductive weight loss side effect of Vyvanse can be deceiving. Let’s just say that stimulant-induced weight loss isn’t healthy over the long-term. You might feel great once you notice that you’re super lean while taking Vyvanse. But at the same time, you might also feel uneasy knowing that the weight loss is only temporary. Yes – there’s a good chance that you will eventually gain weight if you decide to stop taking Vyvanse. So, any weight loss that you experience while taking Vyvanse is temporary, fleeting, and dependent on you continuing your use of Vyvanse. As you can probably imagine, this is why I don’t recommend relying too much on Vyvanse for weight loss. It’s much easier to take stimulant-based ADHD medication than it is to change your lifestyle. But, I truly believe that living an all-around healthy and active lifestyle is the most sustainable decision that you can make to lose weight and live extremely well over the long-term. In the short-term, losing a little bit of weight while using Vyvanse is extremely common and probably even OK (check with your doctor to make sure). 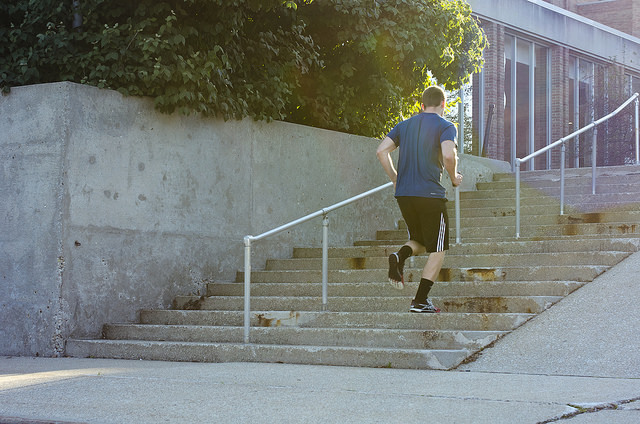 Over the long-term, you’ll probably want to think about optimizing your entire lifestyle with a number of healthy habits beyond just taking Vyvanse. Weight loss is a side effect of Vyvanse that you should bring up to your health care provider. I’m not a doctor, and I can’t give medical advice. But, I have personally dealt with weight loss from Vyvanse. So I can talk about the methods that I’ve used for a number of years to maintain great health. Just to be clear, I have no problem with using Vyvanse. It’s a high-quality ADHD medication that can give you amazing cognitive benefits. But, you still have to do everything that you can to stay extremely healthy while you’re losing weight on Vyvanse. It’s really hard to eat when you have Vyvanse in your system. This happens because Vyvanse typically suppresses your appetite, and makes even delicious food seem unappealing. This is a problem, because you need to eat nutrient-dense foods in order to think clearly, perform at work, enjoy your relationships with people, and maintain a healthy body weight. You ultimately have to force yourself to eat high-quality food regardless of how “full” you feel (you rarely feel full on Vyvanse). Again – I know this is really hard to do. But, eating quality food is super important. To solve this problem, what I like to do is prepare 12+ meals worth of food in advance – usually on a Sunday evening. For those readers who aren’t involved in the fitness scene, this is called meal prepping. I’m not a picky eater, and I don’t like to spend much time cooking. So, preparing at least 12 meals in advance gives me roughly 4 days worth of food. This frees up my time and mental energy tremendously – and makes it so much easier to eat healthy food on the spot. 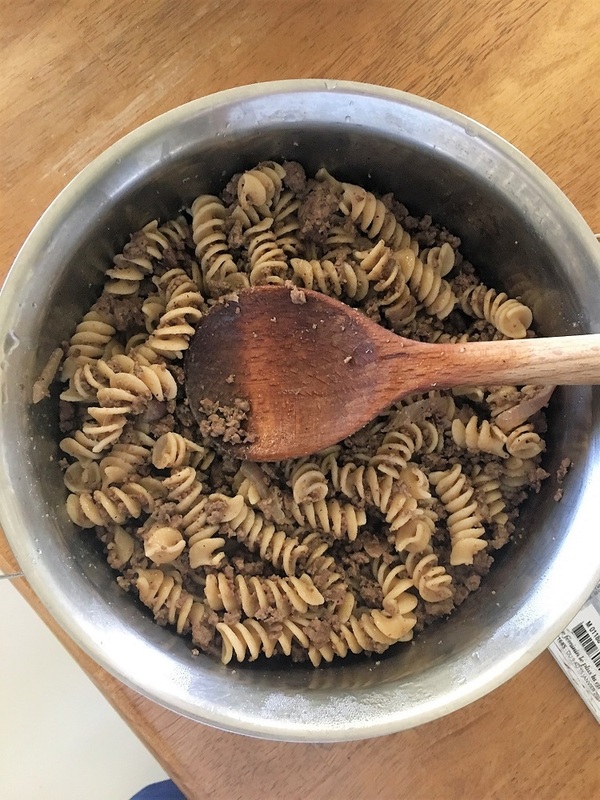 If you individually cook two or more meals every day of your life, and you spend 15 to 20 minutes cooking each meal, then you spend almost 4 hours every week cooking meals (at minimum). This is assuming that you eat out for one meal per day (like many corporate employees do). If you’re a day dreamer with ADHD like I am, and you spend 30+ minutes cooking your meals individually, then you’ll spend a whopping 7 hours cooking food every single week. This is equal to 364 hours of cooking per year. This is an insane amount of time to spend preparing food. And yet, most people with ADHD still cook meals individually! So do yourself a massive favor – and learn the art of meal prepping. When you don’t have to think about preparing food (i.e. you take one or two days to prepare all of your food for the entire week) – you’ll find it so much easier to eat a healthy ADHD diet while you’re on Vyvanse. Meal prepping will save you time, money, and mental energy. And most importantly, meal prepping will make it so much easier for you to eat nutrient-dense food while you’re taking Vyvanse. Since Vyvanse can suppress your appetite, it’s important to make sure that you’re getting all of the vitamins and nutrients that your brain needs in order to function. You should take your multivitamin supplement in the evening. The reason that I recommend taking your multivitamin supplement in the evening is because certain vitamins can interfere with stimulant-based ADHD medication. You ultimately want to make sure that your vitamins don’t interact with your ADHD medication. So, it’s probably a good idea to take your multivitamin as soon as you feel like your Vyvanse is wearing off. When I was using Vyvanse, this was typically around 5 p.m. to 6 p.m. I’d feel the notorious Vyvanse crash coming on, so I’d pop a multivitamin, drink a green smoothie, and hit the gym. Supplementing with a quality multivitamin can give you a lot of peace of mind. At the very least, you’ll know that your getting an adequate amount of vitamin B, vitamin C, zinc, magnesium and various other essential ingredients. At best, you’ll potentially save yourself from dealing with drug-induced nutrient depletion. 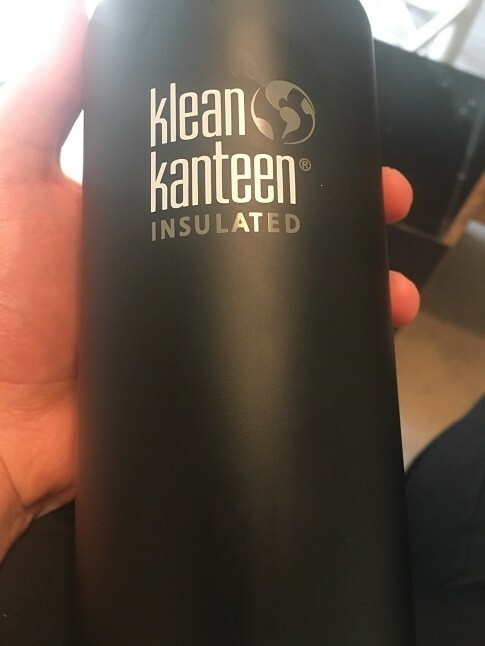 I keep a Klean Kanteen (Amazon) with me almost everywhere I go. I do this to stay super hydrated at all times. This was especially important when I was taking Vyvanse on a daily basis for almost a year. Vyvanse makes you pretty thirsty, to where it’s absolutely crucial that you keep a good water bottle with you wherever you go. If you don’t have a good water bottle, then you might end up buying bottled water (waste of money) or soda (terrible for you). I like Klean Kanteens because they’re free of BPA and other harmful chemicals. They’re also genuinely leak-proof, which is a term that has been heavily abused in recent years (it’s very rare to have a water bottle that’s actually leak-proof). So, make sure to pick up a Klean Kanteen or even a Blender Bottle (that should work too). Drink plenty of fluids, and stay hydrated at all times while you’re taking Vyvanse. It’s definitely OK to drink some caffeine while you’re on Vyvanse. You just have to be careful about how much caffeine you consume while you’re taking the ADHD medication. My doctor actually told me that it was perfectly fine to drink coffee or tea while using Vyvanse, so that’s exactly what I did. I used to drink huge cups of coffee on my way to the library while waiting for my Vyvanse to kick in. Unfortunately, I soon found out that ingesting too much caffeine while you’re taking Vyvanse can lead to some nasty problems like increased heart rate, anxiety, and similar issues. 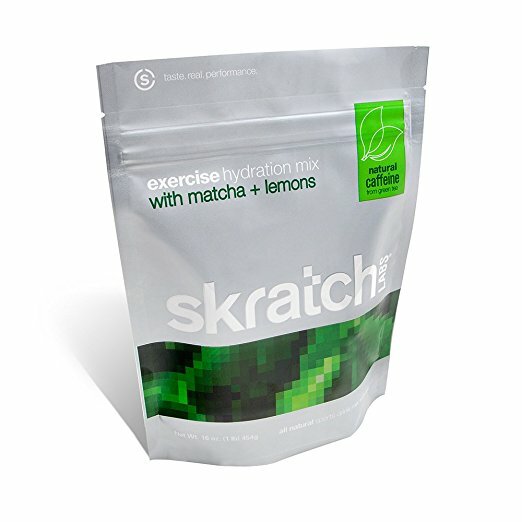 These side effects caused me to switch from drinking coffee, to drinking Skratch Matcha Green Tea Mix (Amazon), yerba mate, black tea, and various other delicious types of tea. Generally speaking, tea has less caffeine and more benefits than coffee. For example, the L-theanine found in many types of tea is an amazing, 100% natural anti-anxiety ingredient. Drinking high-quality tea is an excellent way to control the amount of caffeine that you consume while on Vyvanse, while still getting that extra energy boost that you want. Stimulant-based ADHD medication obviously puts some amount of unnatural stress on your cardiovascular system. As I mentioned before, I don’t have a problem with ADHD medication. I actually encourage using a low dose of Vyvanse if it genuinely improves your ADHD symptoms and lifestyle (like it did in my case). But, I also think that you need to be realistic about the downsides of using ADHD medication, and take the proper actions to offset the risks of using ADHD medication. Exercise is basically your lifeline in this regard. Doing a combination of cardio exercise (i.e. sprints) and resistance training (i.e. lifting weights) is going to be crucial to staying healthy while you’re taking Vyvanse. If you were to only make one lifestyle change this year, then I would tell you to sign up for a gym membership as soon as possible. Exercise is that important for your long-term health, well-being, weight loss and overall ADHD symptoms. 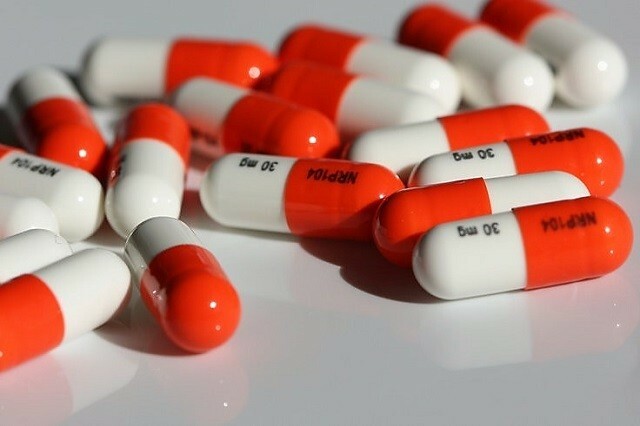 Overall, this article should hopefully leave you with the clearest insights into the pros and cons of losing weight as a side effect of taking stimulant ADHD medications like Vyvanse. Millions of people are prescribed the ADHD medication Vyvanse. Therefore, millions of people will potentially deal with weight loss as a side effect of stimulant-based ADHD medications. I hope that you use all of the resources that are available to stay in good shape, keep healthy, and treat your ADHD symptoms safely over the long-term. You’ll be seriously happy you did so. Thank you for this information I find it will be helpful. Can you please tel me why you stopped vyanse? I used Vyvanse for about one year and had a very successful experience with it. The thing is that I’m a writer and I value creativity at this point in my “career”. I found Vyvanse extremely helpful for carrying out mechanical tasks (like organizing my house, for example), but it blocked me creatively. I have a hard time coming up with good topics to write about on Vyvanse. In the future, I’ll probably get a Vyvanse prescription (again) so that I can take care of “busy work” that doesn’t require any creativity – like accounting, cleaning the house, organization, etc. Though that’s not to say Vyvanse blocks creativity in everyone. I have severely bad ADHD and Binge eating. – I also have an extremely high tolerance to substances. My doctor switched me to Vyvanse because I was already taking 60mg of adderall and didn’t notice a difference at all. I started Vyvanse back in November 2017 and already I have lost 60 pounds. I wasn’t obese to begin with, but I wasn’t skinny. I’m a 5’5 woman and weighed 187 at the time of first taking the product. It was extremely hard for me to lose weight and stay in shape because of my binge eating and ADHD. However, I can safely say that Vyvanse has been the best option for me. Not for the weight loss. While that’s a lovely side effect, it isn’t why I take the medicine. I take 80mg a day. My ADHD is still slightly present, but not nearly as bad as it was. And I didn’t realize how much it was helping until I went off of it for a couple of weeks because I had failed to reschedule an appointment. During those ten weeks I had regained 10 pounds, I couldn’t hold a conversation to save my life, and My brain was all over the place. I would be talking to someone and just stop in the middle of a sentence and be done. I didn’t even realize I was doing it. I couldn’t focus on anything either. It was extremely hard for me to even finish listening to a person because I would tune out, I also had trouble coming up with the right words to say. Before Vyvanse I had learned to adapt without medication, but I can say that Vyvanse has helped me in so much ways. I’m an actor living in LA and I have actually found that Vyvanse has made me focus better on scripts and actually learn the material asap instead of procrastinate. By doing this it has caused it so that I’m able to take the monologue or scene in different directions and play with them, it has expanded my creativity in writing and how I act for my material in a way that I couldn’t before because I didn’t have the focus. That being said i’m not saying that ADHD BOSS is lying when he said he had a harder time being creative. In fact I believe him 100%, but medicine has a funny way of working. Humans aren’t ever wired the same. So while Vyvanse helps my creativity, it destroys others. If you have ADHD you just have to find the right medicine that works for you! Because it wont affect everyone the same way!! Really awesome comment Whitney and I’m happy to hear that you’re an actor in LA. Sounds like you’re doing big things in life 🙂 Thanks again for the comment and I hope to see you on Netflix soon! ADHD BOSS did you ever experience any impotence issues while on vyvanse? Thanks. Hi Trey. No, I personally didn’t experience any problems with impotence. But I’ve heard that it’s a common problem. I really enjoyed this article, thank you! I have just started 40mg Vyvanse, not for ADHD but for binge eating. I am also overweight from binge eating. I am hoping Vyvanse will help with weight loss and my eating disorder. I have noticed that while on this medication I usually get headaches later in the day and sometimes I am very irritable, maybe it is from the crash? I haven’t had any other side effects that I can tell. Thanks again for the great read. Stay hydrated Tia and you should notice a massive improvement while on Vyvanse. I wish you the best of luck! My daughter is on Vyvanse and she is loosing weight really quick and she eats all the time she has ADD and ADHD that’s why she takes it what can I give her to gain her weight back. Please ask your doctor about this side effect Norma. It’s a common issue. I honestly had to force myself to eat more when I was on Vyvanse. I would drink protein shakes and eat big hearty meals. It’s difficult!